$12 at target!!!! 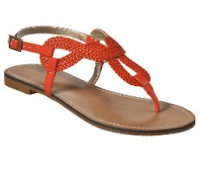 — Pencil & Paper Co.
Really....these darling sandals are on promo this week at target for an unbelievable $12! !Enough said!